Earlier this year, news emerged that 5.65 familes under the Belagavi Zilla Panchayat were given until 2 October, 2017, to build toilets, failing which they would get a 'no toilet' stamp on their ration cards. Now, local authorities in Karnataka's Raichur district have gone a step further. 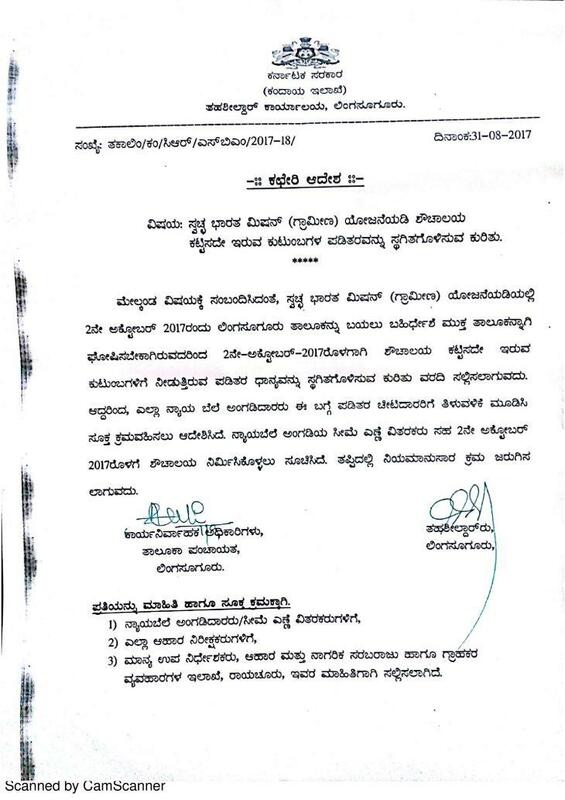 The notice, dated 31 August, was issued by the tehsildar of Lingasugur municipal town in Raichur district, and notifies residents that families who do not have toilets built by the stipulated deadline of 2 October will have their ration cards cancelled. Those without toilets, therefore, will no longer have access to a host of commodities including food, fuel, and other important necessities. Ration cards would be cancelled for those who do not comply by 2 October. 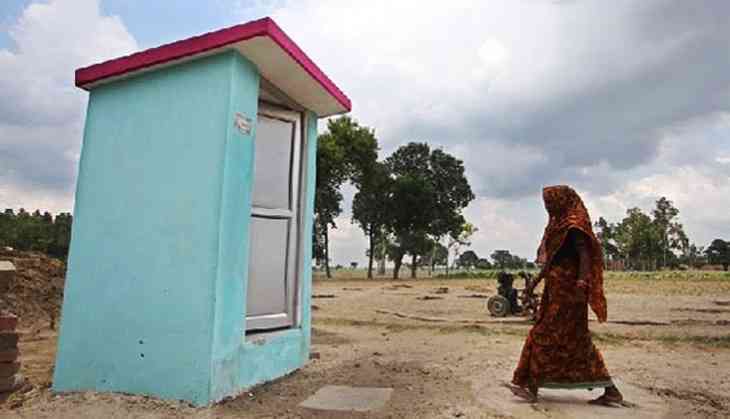 The notice also specifies that families building these toilets will be given a grant of Rs 16,000 by authorities toward the building of toilets. Once completed, officials will be summoned to inspect the construction and certify that the family is in compliance. Alternatively, the State will build the toilets, with families foregoing the grant money. With the Modi government having pledged to rid the country of open defecation by 2 October, 2019 (Mahatma Gandhi's birth anniversary), officials are cracking the whip to ensure the Swacchh Bharat mission meets its targets. However, this is by no means the first case of such extreme measures. Back in 2015, villagers in Chattisgarh's Bastar Nagar panchayat were allegedly told that they would be denied public distribution system rations if they failed to construct toilets. The notice sent by the tehsildar.